Our friendly staff is our greatest asset. They are excited about dentistry, have high standards for quality and integrity, and are motivated to achieve the best result for our family of patients. We pride ourselves on patient communication. Feedback from our patients about an experience in our office is always welcome. In 1981, Dr. Al-Joburi completed the three-year program with a periodontic certificate and Master of Science in Dentistry from the University of Alabama in Birmingham. He was the Associate Professor and head of the Division of Periodontics at McGill University in Montreal, Canada from 1984-1989. 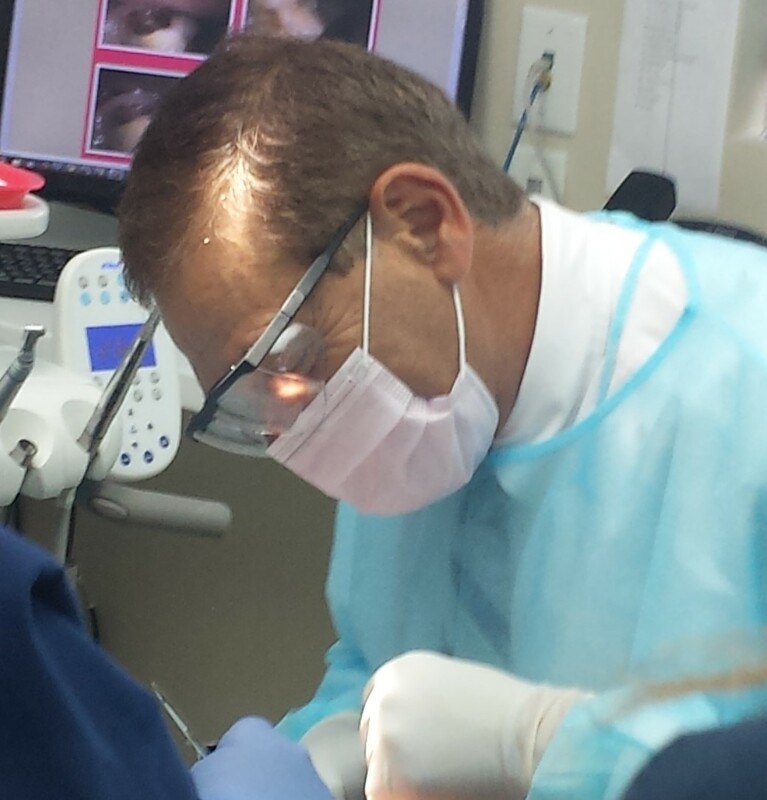 He served as co-chairman of the Broward Dental Research Clinic's Periodontal Division. Dr. Al-Joburi has had several articles published in dental journals and made numerous presentations at local, national and international meetings. Since 1978, he has been a member of the American Dental Association, the Florida Dental Association, the Atlantic Dental Association and is a fellow of the Academy of Periodontology. 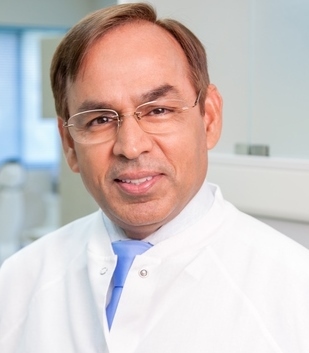 Dr. Al-Joburi has been an important part of our team since 2014. He and his wife have three children and live in the Boca area. In 2000 Dr. Rukhsana Waqar moved to New Jersey to attend dental school at the New York University College of Dentistry. Throughout her time there she maintained the status of an honor student and graduated on the Dean’s List. Since graduating in 2004 she has loved the profession more with each passing year and in particularly enjoys the fields of oral surgery and endodontics. Dr. Waqar’s interest in dentistry began overseas in Pakistan where she obtained a Bachelor in Dental Surgery and received many awards for outstanding achievement. She always desired to aid the underprivileged and spent several months volunteering at various dental facilities following her education. Married for nearly 30 years, Dr. Waqar and her husband have one wonderful son. She moved to Virginia shortly after earning her degree from NYU and joined the team at Grove Dental. of becoming an Orthodontist. Graduating from the University of Maryland School of Dentistry, Dr. Heidari received her Orthodontics Specialty Certificate and Masters in Oral Biology (M.S.). While at Maryland, Dr. Heidari participated on the Craniofacial and Cleft Palate teams at Johns Hopkins University Hospital and Kernan Medical Center. During her residency at the University of Maryland, she conducted two original researches, one was focused on using a computer software (Abaqus) to predict the changes in orofacial complex due to orthodontics treatment.The novel approach to using the Finite Element software introduce by Dr. Heidari is undergoing publication. Her other research was focused on sleep apnea where she collaborated with well known names who are focused in the field of Sleep apnea. Dr. Heidari’s interests are in craniofacial growth and development, as well as in the treatment of children and adults with craniofacial abnormalities and sleep apnea. She enjoys working with all age groups and loves her patients. Dr. Heidari is committed to excellence and esthetic advancements in the specialty of orthodontics, and is experienced in twin brackets, self-ligating brackets, Invisalign, temporary anchorage devices (TAD’s/ Mini-screws), laser gingival procedures, and multi-disciplinary orthodontic treatment needs. Dr. Heidari is an active member of the American Association of Orthodontists (AAO) and the Mid-Atlantic Society of Orthodontists (MASO). When she is not in the clinic Dr. Heidari and her husband Dr. Ali Shariati enjoy camping and hiking. Ghotai is highly experienced dental assistant who has been working at the Grove Dental Clinic for several years. During this time, she has seen the office go through many great transformations. She enjoys working patients and helping them in any way she can. She believes strongly that patient education is key for successful at home care. In her spare time, she enjoys spending time with her family.